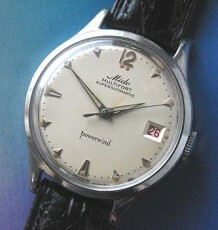 All Steel manual wind vintage Longines watch from the 1950's. 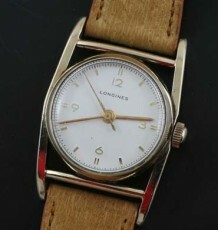 This is a large vintage Longines watch with an oversized stainless steel case. The design is so elegant it’s hard to believe it was designed to be a sports watch and the movement used in it is the same used on many Military watches from the Second World War. 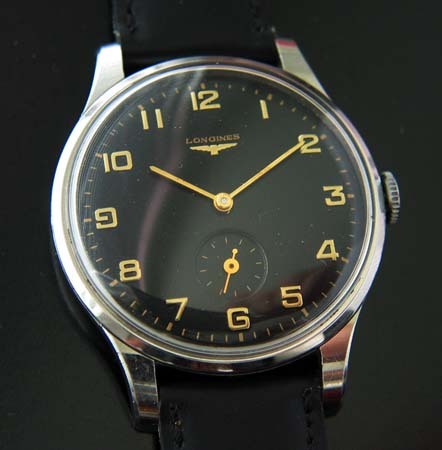 The Longines movement caliber 12.68Z carries a serial number dating this watch to 1954.The solid stainless steel case, reference number 5561-9-172, has way more wrist presence than similar watches from this period, which were usually smaller. As it is, the case width of 37 mm makes it larger than a modern Rolex Datejust, but the visual effect of the large dial, makes the watch seem larger. 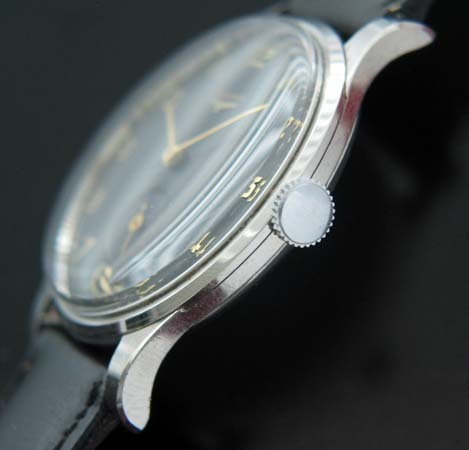 The flat black dial was just professionally restored and the resulting contrast between the black background and the yellow gold Arabic hour markers makes the whole watch sparkle and is a pargon of legibility. 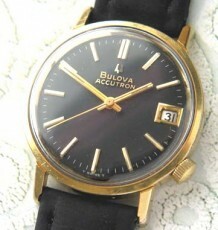 The whole watch was just serviced and the movement is keeping great time. 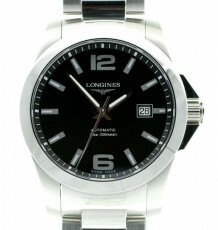 The watch measures 37 mm wide by 46 mm long and will be supplied on the buyer’s choice of black or brown leather straps.